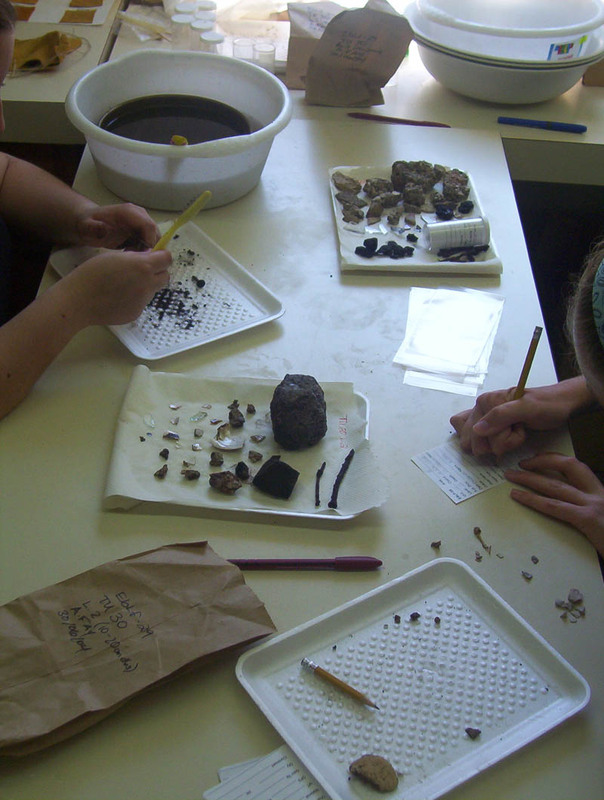 Meticulous work of the participants has resulted in the recovery of fish scales, vertebra and spines. 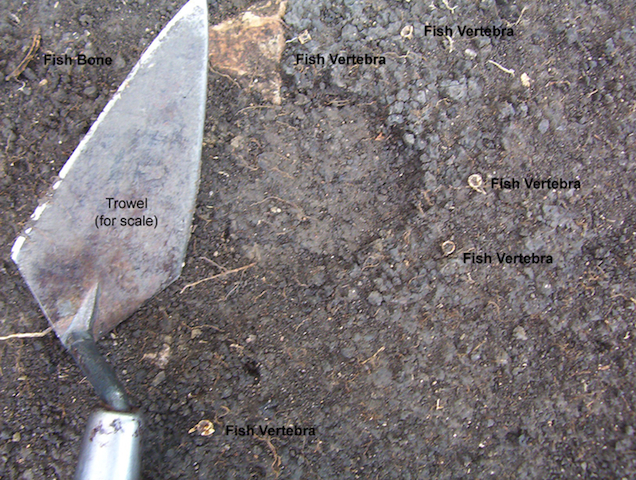 To date, the species identified have been catfish and fresh water drum. 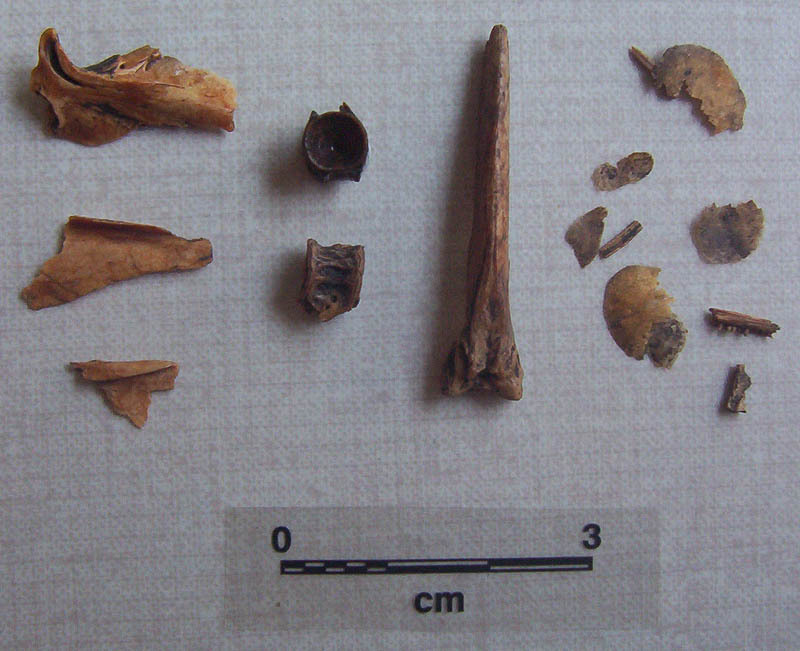 Fish played an important part of the diet as indicated by the huge quantities of fish bone found over the past two seasons of excavation. 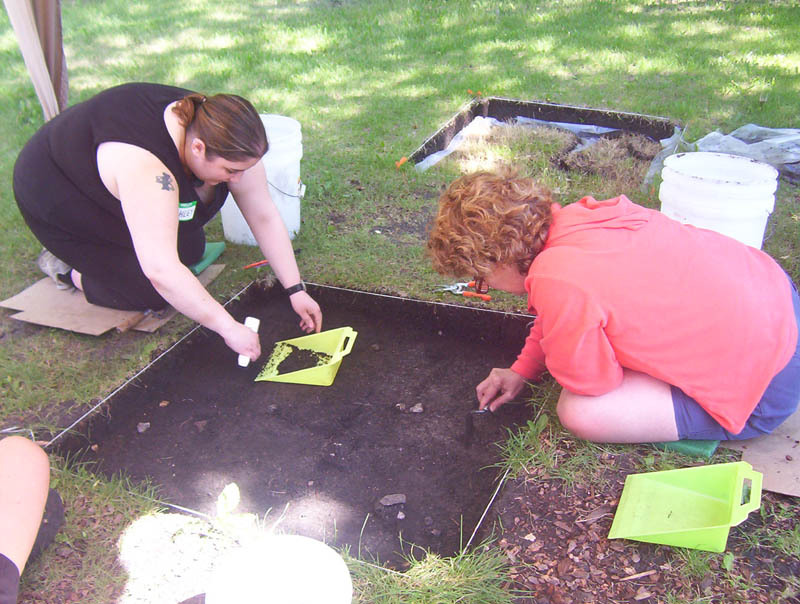 The excavation is just one component of the project. 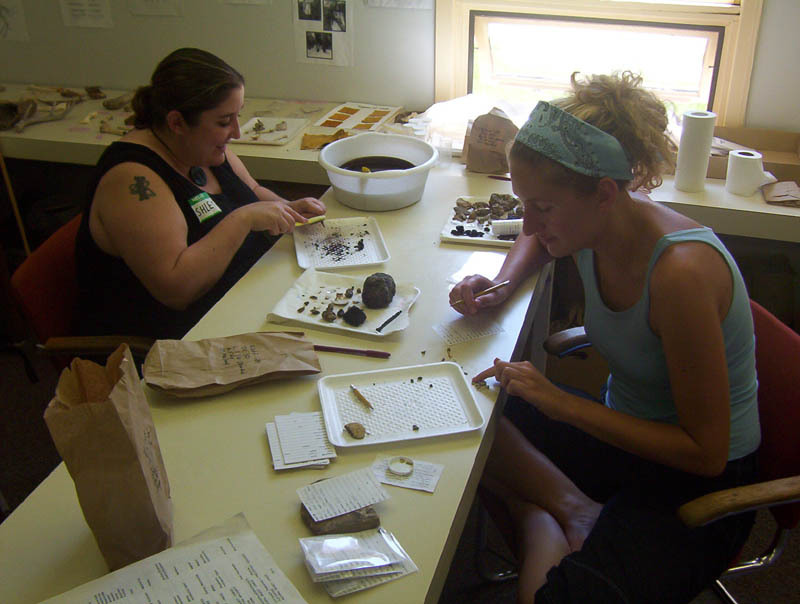 The artifacts are cleaned, catalogued and analyzed in the on-site field lab with the help of the public participants.